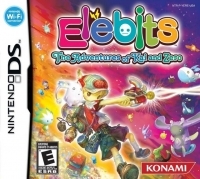 Box Text: Elebits Adventure, Magic and Mystery! Use the magical powers of Omega Elebits as you journey to enchanted lands in a quest to find a way back home. 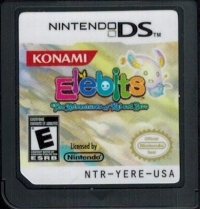 This is a list of VGCollect users who have Elebits: The Adventures of Kai and Zero in their Collection. This is a list of VGCollect users who have Elebits: The Adventures of Kai and Zero in their Sell List. This is a list of VGCollect users who have Elebits: The Adventures of Kai and Zero in their Wish List.